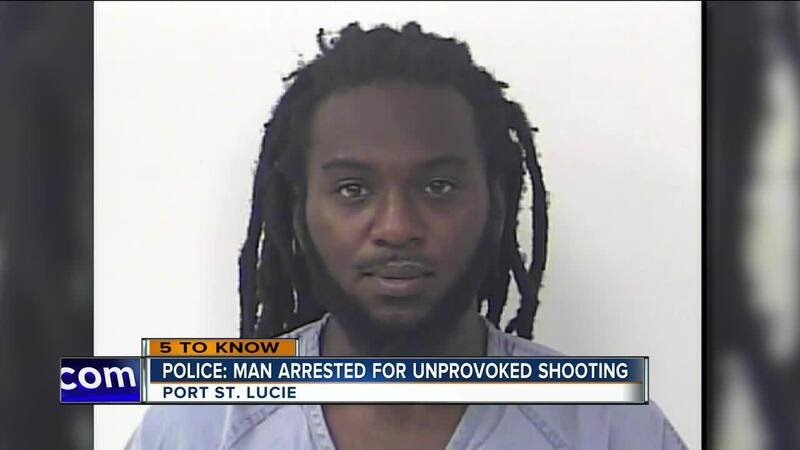 Police say a man was unprovoked when he shot another person in a Port St. Lucie neighborhood. 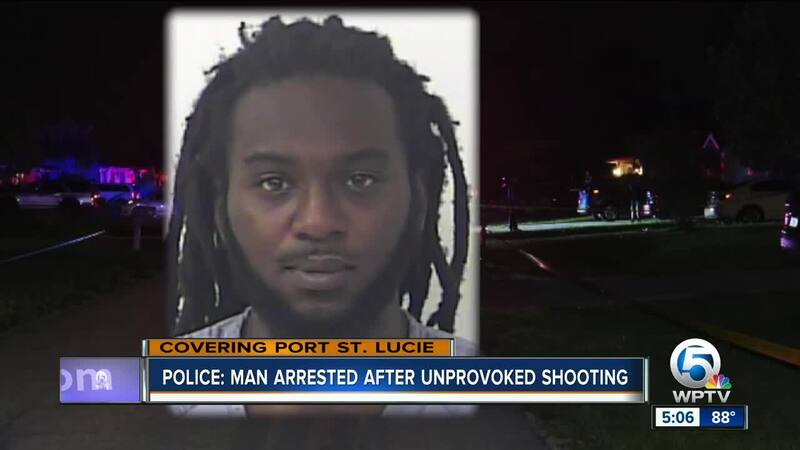 Port St. Lucie police say they arrested a man after an unprovoked shooting Monday night. They say 31-year-old Curtis Patrick Johnson walked next door from his home in the 500 block of SW Butler Ave. and shot a 69-year-old man who was visiting Johnson's neighbor. Johnson returned to his house and told his family that the victim was trying to take his soul, according to police. The victim, who was last listed in critical but stable condition, is being treated for several gunshot wounds, police said. Investigators said they recovered a .45 caliber Taurus from Johnson's home that was used in the shooting. Johnson faces charges of attempted murder, possession of marijuana under 20 grams and culpable negligence. "There was no altercation, there was no disturbance, it was just out of the blue this shooting took place," Sabol said. "It’s horrifying." Neighbors said they talk to Johnson frequently while out in the neighborhood and they've never felt threatened by him before. His arrest was surprising news for them.